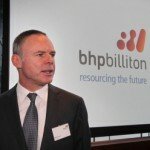 New BHP CEO could come from outside the mining sector (0) November 21, 2012 BHP Billiton is interviewing internal candidates and executives outside the mining industry in the search to find its new CEO. 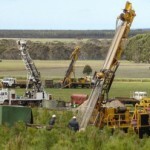 Miners lining up to find NSW uranium (0) November 21, 2012 Sixteen companies have lined up to apply for uranium exploration permits in NSW following the State Government’s move to overturn a 26-year ban on the mineral. 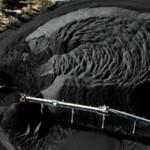 Mine subsidence damages homes (2) November 21, 2012 The collapse of an old, closed coal mine in Newcastle has severely damaged homes. 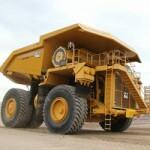 Kimberly mining up 500 per cent (0) November 20, 2012 The Kimberly region in Western Australia has experienced a 500 per cent spike in mining activity since 2003. 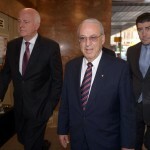 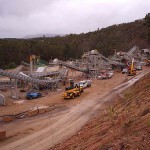 ICAC inquiry into corrupt mining continues (0) November 20, 2012 The Independent Commission Against Corruption yesterday heard the former mining minister Ian Macdonald intended to reopen a mining exploration tender in November 2008 to assist mining magnate friend Travers Duncan. 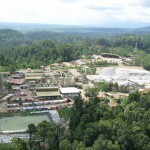 Another challenge to Newcrest’s gold mine licence (0) November 20, 2012 Gold mining giant Newcrest Mining has been served with a lawsuit from GCR challenging the validity of the miner’s licence to Australia’s largest underground gold mine, Cadia Far East. 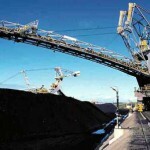 Tinkler faces bankruptcy as coal company goes under (0) November 20, 2012 Mining magnate Nathan Tinkler’s private company, Mulsanne Resources, is in liquidation after failing to pay back $28.4 million owed to coal junior Blackwood Corporation. 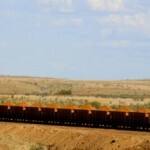 Palmer threatens to kill Pilbara mine (0) November 20, 2012 Citic Pacific has filed an injunction with the Supreme Court of Western Australia to stop Clive Palmer from terminating mining rights on its fledgling iron ore mine in the Pilbara. 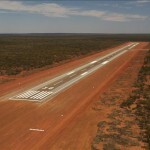 Pilbara FIFO still booming (0) November 20, 2012 Fly-in fly-out workers will make up more than 83 per cent of the Pilbara’s mining workforce by 2020, according to the Chamber of Minerals and Energy. 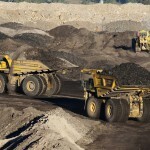 Contractors face Christmas layoff at Curragh (0) November 20, 2012 Around 200 Golding contractors at the Curragh coal mine are facing layoffs after Currgah ends its contract with the company. 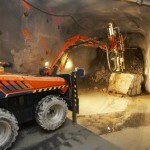 Boart to cut more jobs, move offshore (0) November 20, 2012 Boart Longyear will cut a number of jobs as its relocates its manufacturing operations from Perth to Poland. 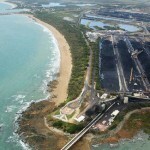 Palmer slams “bullsh*t” rumours (0) November 19, 2012 Mining magnate Clive Palmer says rumours claiming he might have to close his Yabulu refinery over the Queensland wet season are “bullsh*t”. 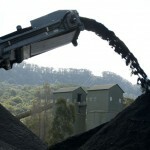 Cuesta Coal bucks trend, expands coal operations in QLD (0) November 19, 2012 Cuesta Coal has announced plans to fast track a coal tenement into production near the closing Blair Athol Mine at Clermont. 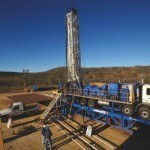 Boart slashes earnings guidance (0) November 19, 2012 Boart Longyear, the world’s largest drilling company, has slashed its 2012 earnings forecast for the second time in three months. 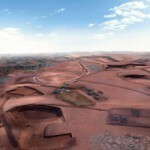 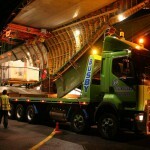 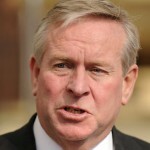 FIFO camp proposed for Laverton (0) November 19, 2012 The community of Laverton in Western Australia is slated for a fly-in fly-out miners’ accommodation project. 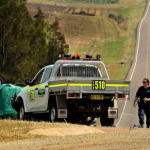 Conservationists blame miners for roadkill (0) November 19, 2012 Animal carers in the Hunter Valley are blaming increased traffic from the mining industry for a spike in the amount of roadkill in the region. 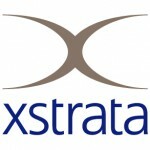 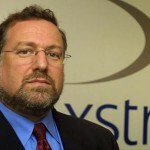 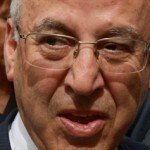 Shareholders to vote down Xstrata’s $200 million bonus package (0) November 19, 2012 Xstrata shareholders are this week expected to vote down a $200 million bonus package for the company’s “key managers” in Switzerland. 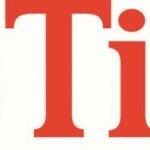 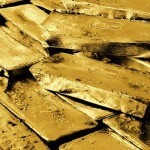 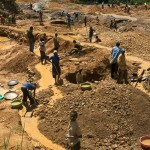 Rio Tinto to float diamond business (1) November 19, 2012 Speculation is mounting that Rio Tinto is looking to float its diamond business as the company moves away from the diamond industry. 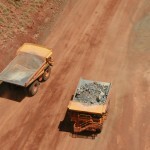 Research shows foreign workers “crucial” to mining towns (0) November 19, 2012 Skilled foreign workers are vital to underpinning the success of the mining and resources boom, according to new research from Central Queensland University. 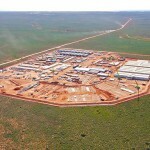 Site preparation works at Pilbara ammonium nitrate plant underway (0) November 19, 2012 Site preparation works for the next phase of gas downstream processing have begun at the Yara Pilbara Nitrates technical ammonium nitrate plant in Western Australia’s Pilbara. 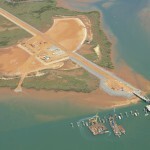 Oakajee will be built: Ferguson (0) November 19, 2012 Federal Resources Minister Martin Ferguson is confident the $6 billion Oakajee port and rail project will go ahead despite the shelving of the project earlier this month. 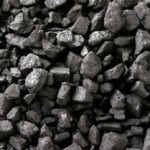 Mexican drug lords now mining coal (0) November 19, 2012 Mexican drugs lords are making around $25 million a year mining coal along the United States border. 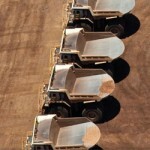 Rolls-Royce to target mining regions (0) November 16, 2012 Luxury car manufacturer Rolls-Royce is hoping to boost sales of its million dollar vehicles by targeting cashed-up Australians in the mining sector. 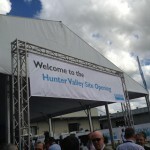 New Hitachi facility set to create jobs in Brisbane (0) November 16, 2012 Hitachi Construction Machinery Australia is set to launch its Brisbane Corporate Support Group facility in Wacol today. 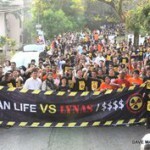 Lynas racks up another win against protesters (0) November 16, 2012 A Malaysian court has dismissed another attempt by environmental groups to shut down Lynas Corporation’s rare earths processing plant in Kuantan. 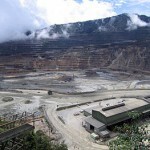 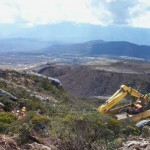 Mining still ‘rife’ with opportunities (0) November 16, 2012 The co-manager of a $12 billion global mining fund says the resources sector is still “rife with investment opportunities”. 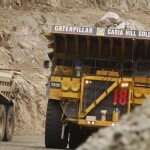 Seven looks to offload Coates and Caterpillar (0) November 16, 2012 Seven Group is considering offloading its stake in Coates Hire and cutting its Caterpillar business in China following a slide in demand for industrial equipment. 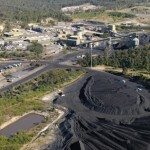 Integra Coal fined $84,000 for illegal waste dumping in Hunter Valley (0) November 16, 2012 Integra Coal has been fined for dumping excessive levels of waste at its mine in the Hunter Valley. 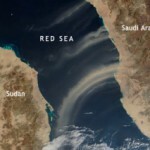 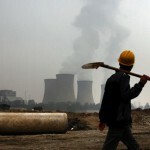 “Difficult days ahead” for mineral sands (0) November 16, 2012 Mineral Sands miners have been warned to prepare for “difficult days ahead” as demand from China slows. 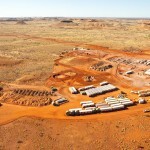 FMG buys into WA oil and gas (0) November 16, 2012 Fortescue Metals Group has announced plans to diversify beyond the iron ore sector by taking an 18 per cent stake in oil and gas explorer Oil Basins. 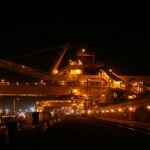 Anglo American cuts more jobs in Queensland (0) November 16, 2012 Anglo American have cut more jobs across their Capcoal operations in Queensland, with redundancies confirmed at Lake Lindsay mine. 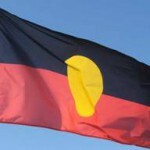 QLD royalties program labelled ‘slush fund’ (0) November 16, 2012 Mount Isa state member Robbie Katter has slammed the Queensland Government’s Royalties for Regions program as a government ‘slush fund’. 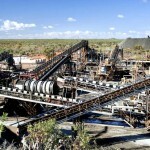 WA gets new mines safety director (0) November 16, 2012 Andrew Chaplyn has been announced as the new WA mines safety director, after Simon Ridge left the position following his promotion to resources safety executive director earlier this year. 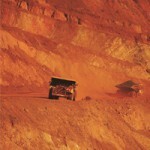 Weird and wonderful world of mining E-book (0) November 15, 2012 The Weird & Wonderful World of Mining edition two has been released by Mining IQ and focuses on some of the lesser known, fun facts about the industry. 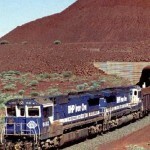 BHP to work what they’ve got one fifth harder (0) November 15, 2012 BHP Billiton has announced it will lift its iron ore capacity targets by nearly a fifth by simply working its existing mines, rain lines and port harder. 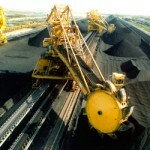 Shen Neng coal carrier captain fined $25,000 (0) November 15, 2012 Captain Jichang Wang has been fined $25,000 after the coal carrying ship he was in charge of ran aground on the Great Barrier Reef two years ago. 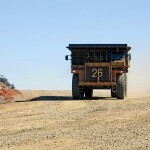 NRW win Rio Pilbara road contract (0) November 15, 2012 NRW has won a $32 million contract to upgrade Rio Tinto’s West Angelas mine’s road. 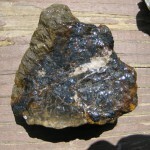 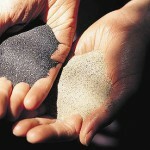 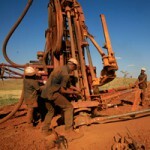 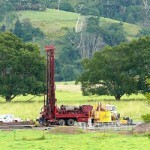 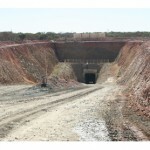 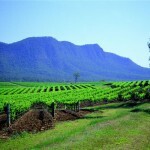 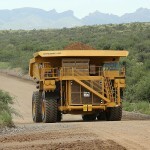 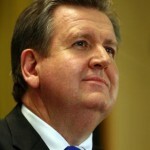 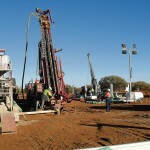 Diamond miner reassessing Ellendale mine options (0) November 15, 2012 Gem Diamonds is reconsidering its options on the sale of its Ellendale diamond mine in the Kimberley. 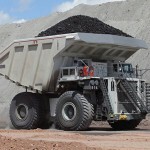 Proposed changes for New Acland mine (0) November 14, 2012 New Hope Group have put forward updated plans for the expansion of the New Acland mine which includes moving the controversial coal loading facility at Jondaryan. 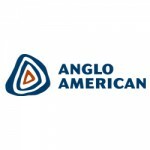 Anglo American cuts jobs at Grasstree mine (0) November 14, 2012 Anglo American will cut at least 35 full-time jobs at its Grasstree coal mine in Queensland’s Bowen Basin. 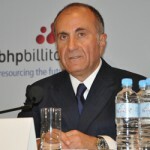 BHP’s $500 million diamond sale (0) November 14, 2012 BHP Billiton is rolling ahead with their exit from the diamond industry after yesterday concluding year long sale negotiations for the Ekati diamond mine in Canada. 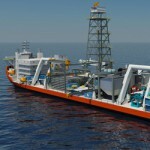 Company drops plans for seabed mining (0) November 14, 2012 Nautilus Minerals has decided to terminate the construction of equipment for its seafloor production system in the development of the Solwara 1 Project off the Papa New Guinea coast. 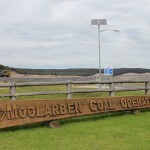 Community protests Mudgee mining camp (0) November 14, 2012 Moolarben Coal has seen stiff opposition to its proposal to build temporary workers accommodation for 300 staff. 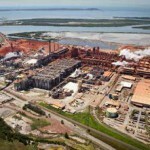 Rio Tinto attacks unions and government (0) November 14, 2012 Rio Tinto has blamed unions for falling productivity, calling for urgent action to address workplace laws, taxation and foreign workers. 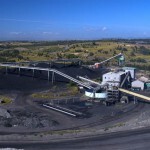 Coal mine to double workforce (0) November 14, 2012 Yancoal is defying the current market trends for coal operations, and submitted an expansion proposal that will increase operations. 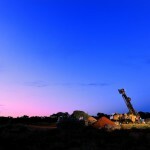 BHP granted more time in Olympic Dam expansion (0) November 13, 2012 The South Australian Government has granted BHP Billiton a four year extension so it can invest more time to plan its Olympic Dam expansion. 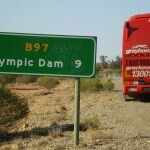 Union says it will take Rio to court over redundancy dispute (0) November 13, 2012 The CFMEU says it will take Rio Tinto to court if a pay dispute over redundancy packages cannot be resolved. 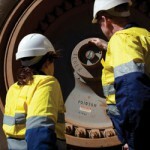 New mine safety inspector for North-west WA (0) November 13, 2012 The West Australian Government has appointed a ninth mines safety inspector to service the states north. 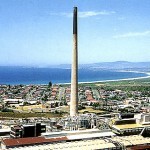 Incitec profit up 10 per cent (0) November 13, 2012 Fertiliser and explosives maker Incitec Pivot has posted a profit increase of 10 per cent for the year to September 30. 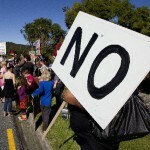 $32m slashed from Stockton mine budget (0) November 13, 2012 New Zealand’s largest opencast mine is set to cut $32 million from its budget as it looks for ways to stay viable. 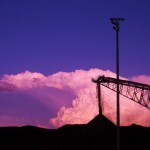 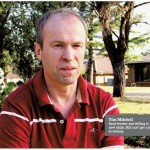 Former worker blames cancer on Xstrata smelter (0) November 13, 2012 A former Mount Isa Mines worker has lodged a complaint against Xstrata after he was diagnosed with lung cancer. 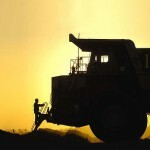 Seabed mining ban could be lifted before 2015 (0) November 13, 2012 Northern Territory Mines and Energy Minister says the moratorium on seabed mining could be lifted before 2015. 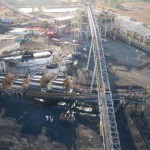 Anglo American installs automated systems at Grosvenor (0) November 13, 2012 Anglo American’s new Grosvenor coal mine in Queensland will get an an integrated automation and electrification system. 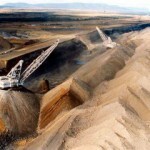 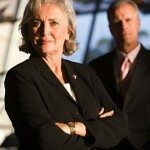 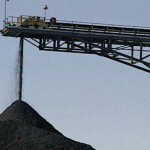 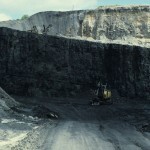 Greenpeace hysteria threatens communities: QRC (0) November 12, 2012 The Queensland Resources Council has accused Greenpeace of using ‘exaggeration’ in a bid to shut down Queensland’s export coal industry. 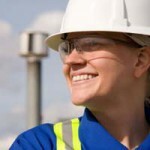 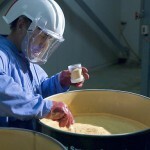 Orica’s annual profit down 37% (0) November 12, 2012 Chemical manufacturer Orica’s annual profit has taken a hit, falling by 37 per cent. 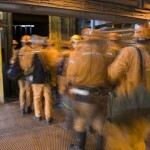 BHP miners plan two-week strike (0) November 12, 2012 Supervisors at Illawarra Coal’s Appin mine will go on strike for a fortnight after voting to take industrial action over their pay dispute. 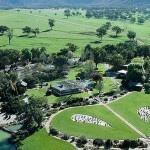 FIFO-only apartments planned for Perth (0) November 12, 2012 A $16 million riverside apartment complex catering exclusively to FIFO miners has been proposed for Perth. 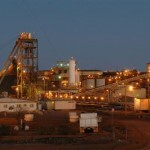 Rio cancels Pilbara accommodation project (1) November 12, 2012 Rio Tinto has cancelled its Rocklea Palms Pilbara accommodation expansion project. 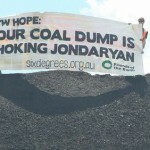 Coal protesters fined in court (0) November 12, 2012 Two protestors who were arrested last month during a coal mine protest at Jondaryan have pleaded guilty to trespassing and were fined. 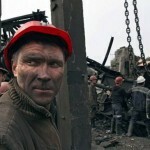 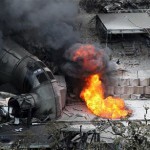 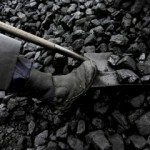 Rio coal miners to strike (0) November 12, 2012 Around 30 miners at Blair Athol will go on strike tomorrow. 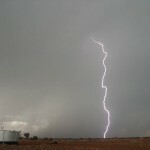 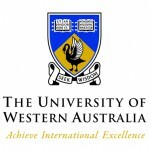 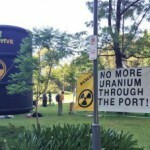 Broken Hill Land Council open to exploring uranium (0) November 9, 2012 The Broken Hill Aboriginal Land Council is open to uranium exploration in New South Wales’ far west. 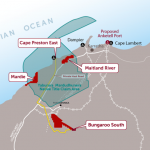 Mitsubishi cutbacks to halt Oakajee, coal projects (0) November 9, 2012 Western Australia’s long proposed Oakajee port has been put on the backburner as Mitsubishi moves to cut costs. 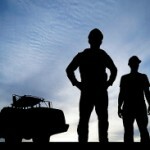 CFMEU fight QRC on mine safety (0) November 9, 2012 The CFMEU is fighting the Queensland Resources Council push to ‘deregulate’ mine safety. 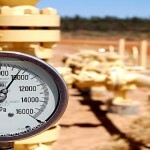 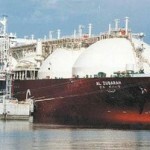 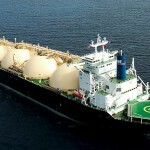 Buru strikes a deal on Kimberley pipeline (0) November 8, 2012 Oil and gas producer Buru Energy and Mitsubishi Corporation of Japan have gained approval to further develop gas resources in the Kimberley region. 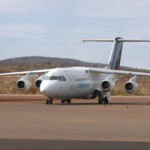 FIFO miner fined for bomb threat (0) November 8, 2012 Fly-in, fly out miner Hayden Michael Angwin has been fined $6,000 for joking about a bomb being placed on a Virgin flight from Rock Hampton to the Gold Coast. 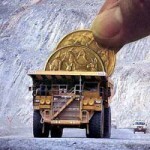 MP demands Treasury brief on mining tax (0) November 8, 2012 NSW Independent, Rob Oakeshott, has demanded a Treasury briefing on the mining tax saying the government was ‘done over’. 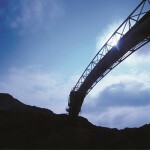 Mine forced to stop operations to cut dust (0) November 8, 2012 A Hunter Valley mine says it has been forced to halt operations on a daily basis to avoid producing excess dust. 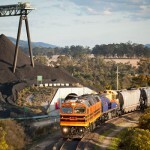 Mine extends train hours, despite community concerns (0) November 8, 2012 Duralie Coal has won approval to increase its rail operating hours despite concerns by Gloucester citizens that the move will cause lack of sleep and asthma attacks. 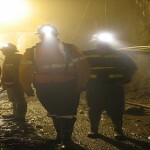 Mine workers chase new legal highs (0) November 8, 2012 A new version of the synthetic drug known as Venom has hit WA streets and is being favoured by mine workers. 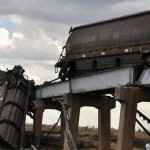 Miners hurt in bus roll over (0) November 8, 2012 Around a dozen miners lucky to escape relatively unharmed after their bus rolled over on the way to Rio Tinto’s Kestrel coal mine.